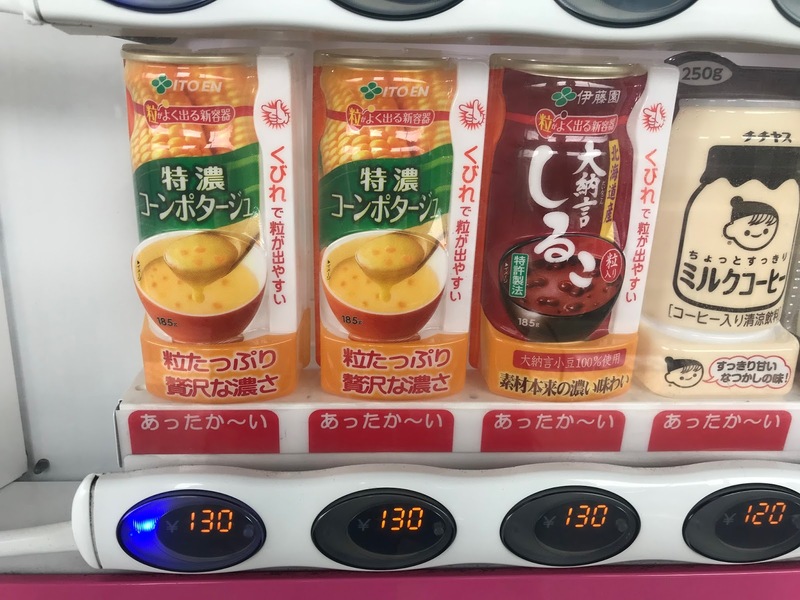 Everything you've heard about the popularity of vending machines in Japan is true. 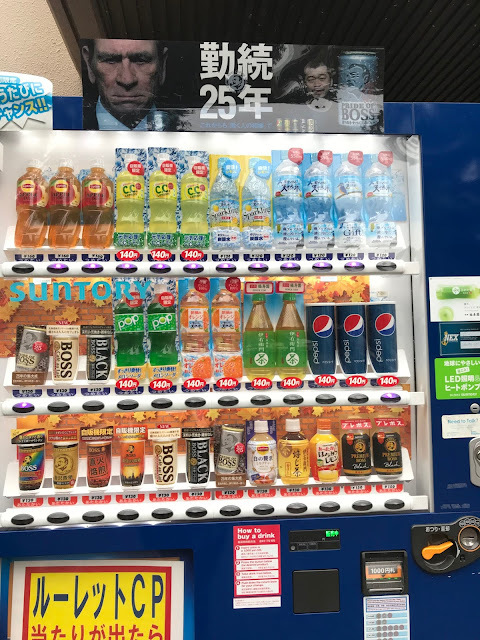 You may have also heard that you can get everything in Japanese vending machines, but that has not yet proven to be true. Mostly, it's drinks. There are drink vending machines everywhere. 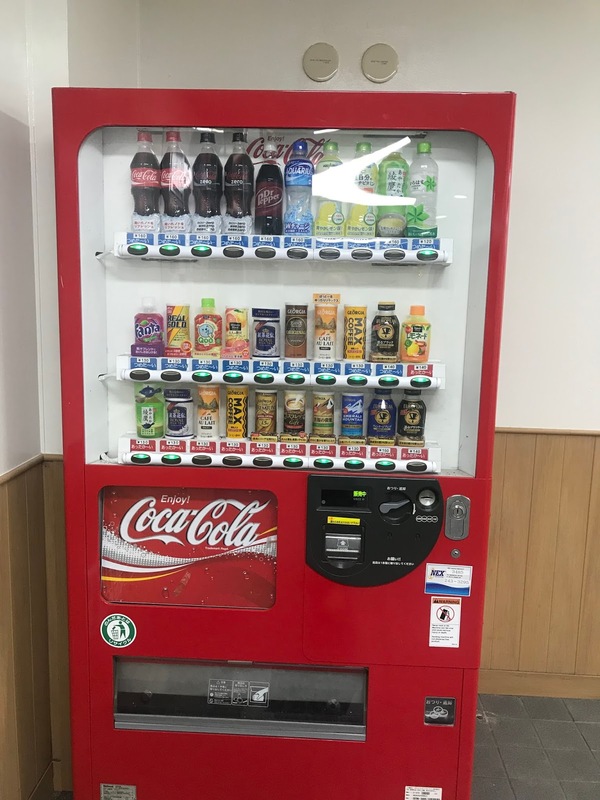 If you own property in Japan, you can put a vending machine on it. Therefore, you can be walking down a residential street and pass vending machine or even several along your route. 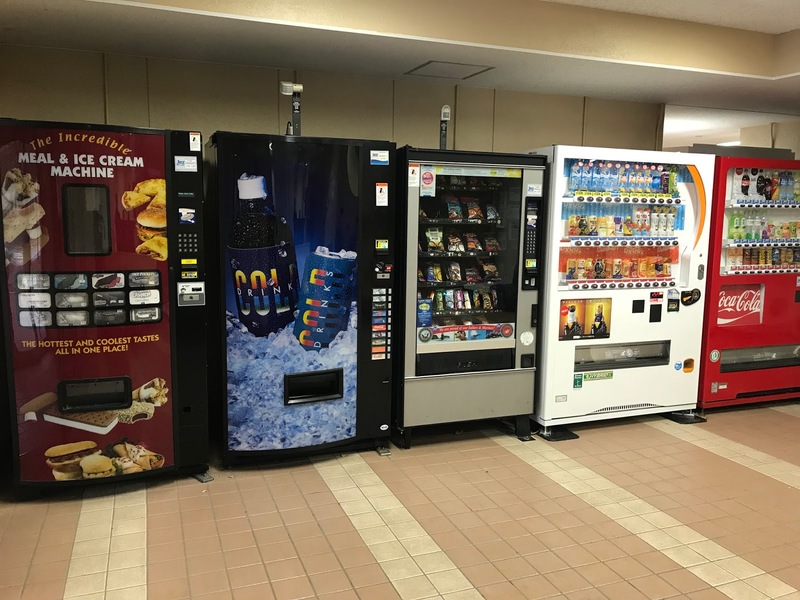 There are multiple machines in every train station and pretty much everywhere else you can think of. 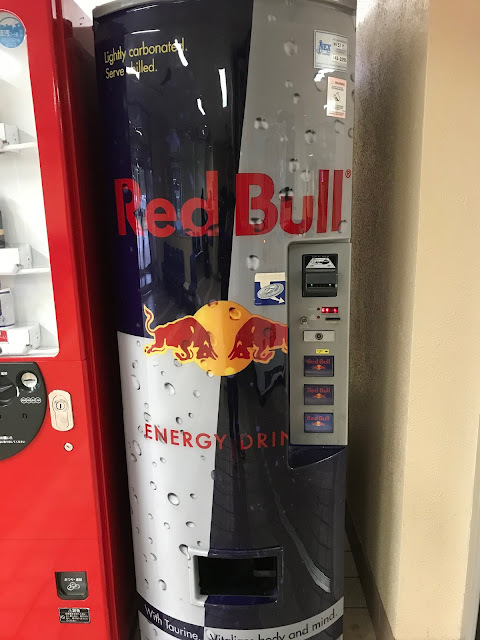 So, thirsty? Have a little change? 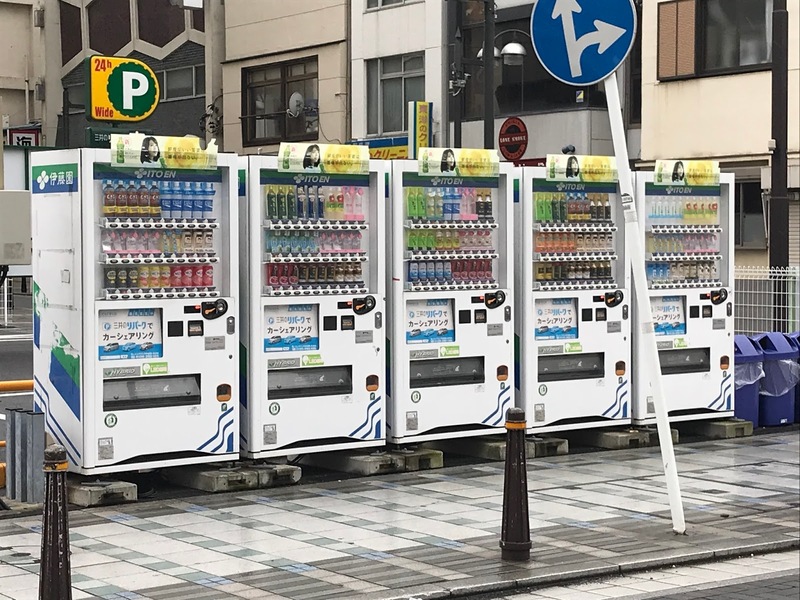 You will soon come across a vending machine and your problem should be solved. This one is on base, on our usual route in. We are amused by the extra large Pepsi cans (shown actual size) and Tommy Lee Jones advertising coffee. There is another one we pass on the way to church with at least four different Coca-Cola size and bottle or can options. A little more American looking in variety, this is in the lobby of the building of Blake's office. The end of that same bank. This is in the lobby of our apartment building. It is way too convenient sometimes. In the cooler months, vending machines will have both cold (blue labels) and hot (red labels) beverages in the same machine! 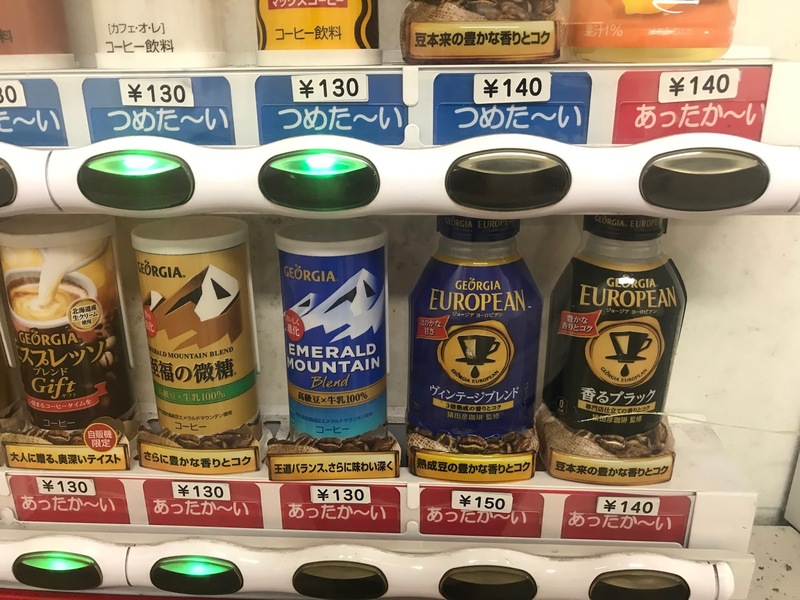 It's mostly coffee, but there is some hot cocoa and usually our favorite, hot lemonade. So good. 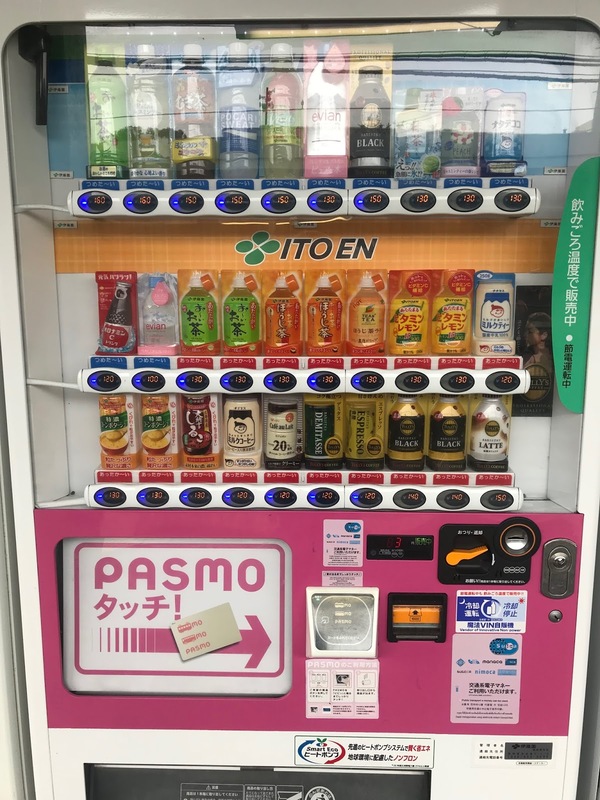 Vending machine at our home train station. 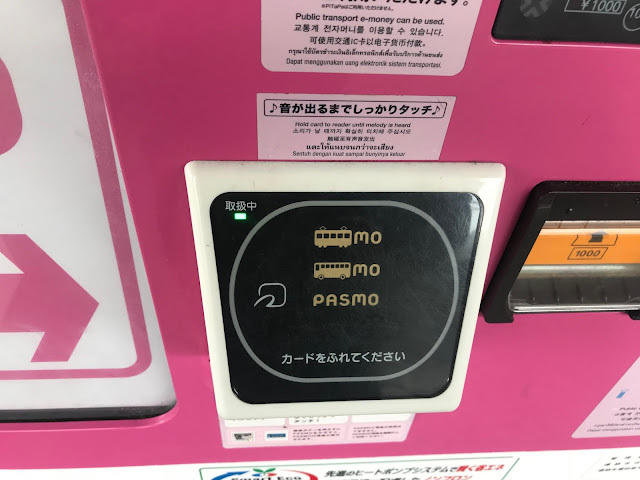 The PASMO is one of the two possible transit cards (the other is the IC card from Suica, they are interchangeable in use around this area), so if you don't have change, you can pay with your transit card! Hot corn or bean soup anyone? We have not been brave enough to try this yet. We try not to use these too often, but we will definitely miss them wherever we go next. What an interesting aspect to the culture.